Pradhan Mantri Fasal Bima Yojana Online Portal/offline Application Form Process Status, Eligibility Criteria, Documents, Premium Amount etc. – To provide insurance coverage and financial support to the farmers in the event of failure of any of the notified crop as a result of natural calamities, pests & diseases. – To stabilise the income of farmers to ensure their continuance in farming. – To encourage farmers to adopt innovative and modern agricultural practices. Previous schemes were only allowed some specific farmers to enroll under it. Some were for big farmers while others were for smaller agricultural producers. With the implementation of this project, we got an insurance scheme that allowed farmers from all categories to enroll and get benefits. private crop insurance policies are very costly and not possible for farmers to pay such heavy premiums. With PMFBY, it has fixed the premium at only 2% for Kharif and 1.5% for Rabi crops. When farmer needs to claim the insurance money, central government will transfer the amount into the bank account that is in the name of the farmer. Farmers will end up paying only a smaller fraction of the insurance premium. rest of amount has been taken care by central government. But each policy holder will receive full coverage against crop damage. Under this insurance coverage scheme, no farmer needs to worry about any classification. Big, small, as well as marginal agricultural workers will be allowed to get the benefits of this project. PMFBY will allow both landholding as well as landless farmers to get the coverage benefits. Landless farmers mean those who produce crops on another person’s land. There are several agricultural workers who have not taken any loan from any bank or the government, for agricultural needs. These individuals are termed as non-loanee farmers. In case any such farmers desire to get the benefits of this project, they need to publish land documents. Land registration papers – Only those farmers will be able to fill in the application to get the benefits of this insurance scheme that have access to all registration papers of the farmland. It applies for land owners as well as rented farmers. They need to have the land patta number. Ownership papers of farmland – In case the farmer is the real owner of the farmland, then he needs to attach copies of those legal documents, which highlight that the land is registered in his name. Aadhar card – Attaching a copy of the Aadhar card is a must for all farmers. It will be used for background checks by the authority. 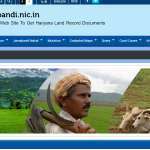 Personal identification proof of registering farmer – The PAN card, voter card and ration card photocopies of each farmer must be attached with the application form. 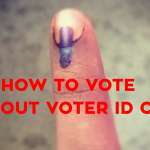 All personal identification details are a must for application. Details of official bank account – As the insurance money will be offered via the bank, the farmers need access to active bank accounts. Details like bank and branch name, account code, back code and address are a must for proper money transfer. Sowing information – In case any unfortunate incident takes place; government will need sowing details for compensating the loss. It will highlight the actual investment on the part of the agricultural labor, and the amount he has lost due to the losses. The papers which offer these details are termed as sowing declarations. 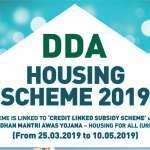 Application form – Last but not the least; all applicants need to collect the application forms from respective central or state government offices. The form has to be filled in carefully. In case it has any wrong info, it will be rejected by the scrutiny department. From where can one obtain online registration form? Any farmer who wants to safeguard their crops and investment against damage can go online to register under PMFBY. The digitized application form can be accessed by landing on the official homepage, by clicking on the link http://pmfby.gov.in/. If one wants to bypass the primary steps, and get to the form directly, then he must click on the link http://pmfby.gov.in/farmerRegistrationForm. How to apply for PMFBY online? Some changes have been made in the online application process. 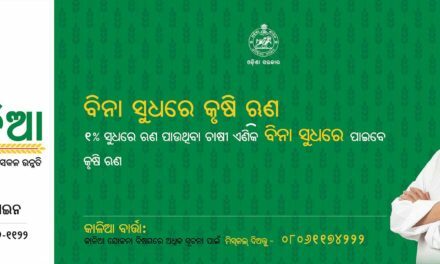 Any applicant who desires to enroll under this crop insurance scheme will have to click on the official link, i.e. http://pmfby.gov.in/. Farmers who have already applied can access other options by logging in with their credentials at “Login for Farmer”. It will trigger the site to bring up the official registration form on the computer screen. It is the revamped application form for 2018. All fields must be filled with appropriate data. Any error will result in the cancellation of this application. After getting confirmation on registered mobile number, applicants must login with their credentials for filling in other details. Only then the entire registration process will be complete. How to register any grievance Complaint? The website has a unique feature that allows farmers to highlight any complaints or grievances as well. It will allow the department to understand if farmers are having any issues during enrollment, crop loss report submission, claim status check and any general doubt clarification. It will help the government to serves these farmers better. 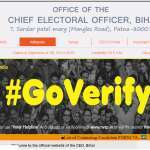 In case any applicant wants to register any complaint, then he has to click on the official web link, http://pmfby.gov.in/. As soon as one clicks on this link, it will open a new page that will highlight the “Complaint/Grievance” box. The farmer needs to type in his name, registered mobile number and email ID. Then he has to type in and describe his doubt, issue or compliant. Once it has been done, it is time to register to the complaint by typing in captcha code in the box marked as “Enter Captcha Code” and clicking on the yellow “Submit” button. It is not possible for the central or the state government to take care of all transactions alone. Thus, it has been decided that a handful of financial institutes and insurance companies will be selected by central government. These banks and insurance companies will work in unison to work out every nitty-gritty of this scheme. The insurance companies will check the truth behind the claim, while compensation transfer will be handled by the selected banks. Regional Rural Banks, Cooperative Banks, and commercial banks will do the task. Some private insurance companies will be offered the responsibility to check the claim settlement procedure. Their presence will keep third-party agencies at bay. As mentioned, no discrimination will be done when sorting the application of farmers, under any category. To ensue most farmers receive the perks of this insurance scheme, central government will keep additional reservation for those agricultural workers who fall in schedule caste, schedule tribe and OBC groups. Other than this, there are two additional categories – compulsory and voluntary. Compulsory component – It is associated with the SAO credit. 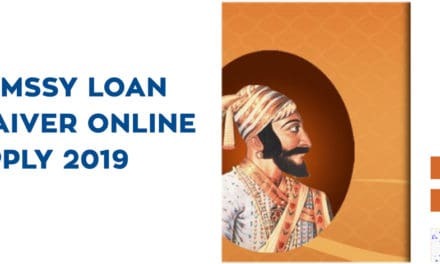 When any farmer applies for credit from banks or other organizations, and utilizes it for reaping a seasonal harvest, then it is termed as SAO loan. All farm workers, which have attained this credit, will be categorized under compulsory component. They will not get entry under PMFBY. Voluntary component – In case a farm worker has not taken any such loan for crop harvest, then he will automatically fall under the voluntary category. All these farmers can register and get all benefits that PMFBY offers. For the time being, only a handful crops have been identified by central government. Keeping the soli, climate and farming practices, the national government has taken this decision. 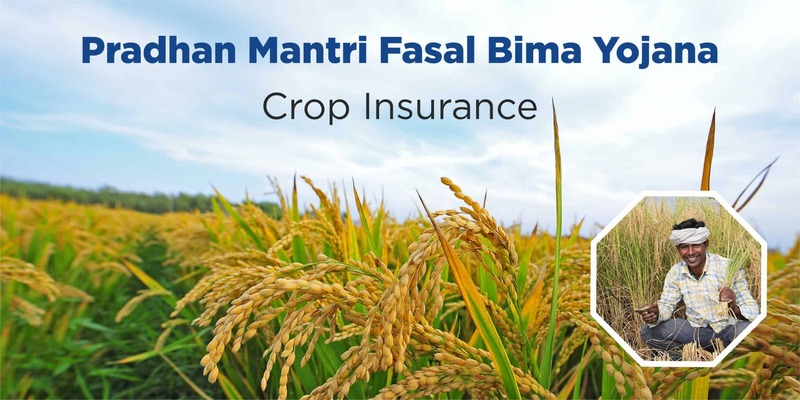 All farmers, who grow rice, wheat, pulses, millets, castor, groundnut, linseed, cashew nut, guava, banana, and mangoes, will be able to apply for this crop insurance scheme. This list will make sure that farmers from all parts of the nation will be able to safeguard their crops as per the guidelines of this scheme. With time, more food and commercial crops will be added to this list by the central government. After all, the main objective of this scheme is to offer financial security against any accidents. Loss due to prevented sowing – Framers will not be able to get satisfactory returns if they fail to sow the seeds in the insured farmland. In case this delay has been due to natural causes like lack of precipitation, then the agricultural labor can attain compensation from the government. Damage to standing crop – Standing time of any crop starts right after sowing of seeds till before the crop harvesting season. In case the standing crop suffers from any damage, due to natural causes, then farmers will get paid under PMFBY. Post yield damages – Before the product is taken to the market for sale, it needs some time for post harvesting procedures. During this time, farmers need to store the crop in a safe place. In case this crop is damaged, famers can opt for insurance claim. But that claim must be made before completion of two weeks, from the date of harvest. Localized incidents – Localized natural calamities are common in many parts of India. Storms might damage the harvest in one part of the state, while others, located on the opposite side remain unaffected. In case of such localized events, insurance money can be claimed. It has been mentioned in the PMFBY scheme that government will be entitled to pay for damages only in case of natural calamities. If crops are destroyed by manmade causes, like nuclear disaster, wars, or radiation fallouts, then farmers will not receive any insurance coverage. If man-made fire chars the crops, or they are eaten by locusts or other animals, then that too will be the responsibility of the farmer. Any cause, other than natural events will not be considered under this insurance scheme. For the ease of farmers, there is a unique option that will allow the applicants to calculate the premium amount. For this, one has to click on the official link of the yojana, gov.in. A new page will open that will allow the person to calculate the premium amount for the insurance scheme. 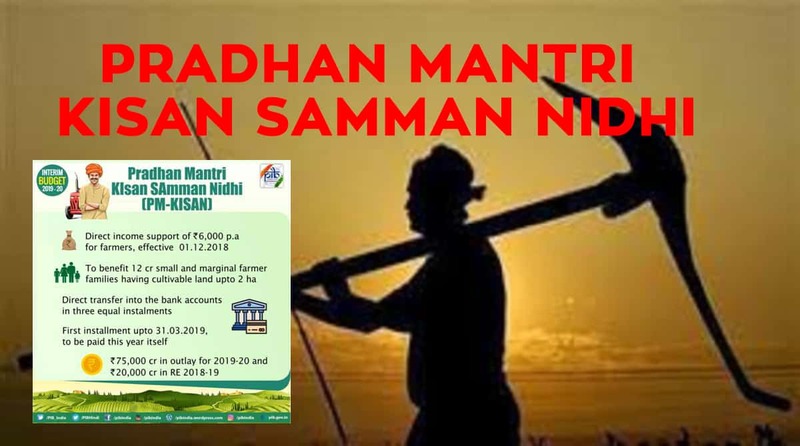 The applicant has to enter whether the crop is Kharif or Rabi under the “Season” field, year related date under the “Year” filed, pick the scheme name under the “Scheme” filed, and also fill in “State,” “District,” and “Crop” fields with proper date. As soon as this button is clicked, it will trigger the site to do necessary calculations. Once the number crunching is done, it will highlight the amount on the screen. 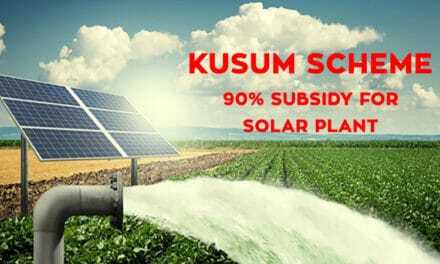 Thus, the applicant will get an idea about the total premium that he has to pay in order to safeguard his investment and crops from any damage, caused due to natural reasons. Along with the new and improved website, the agro department has also launched a mobile application for this scheme. For the design and launch of this app, central agriculture department took help from Information Technology department. The “Crop Insurance App” is designed for any android smartphone. Any person can download this application from Google PlayStore for no extra payment. Just initiate a search on Google PlayStore with the name of this app, and then download it easily. The application can also be downloaded from the link http://www.agri-insurance.gov.in/Document/CCE_Agri_121_27-03-2017.apk. All features, which you get on the website, are also available on this smartphone application. It will make thing easy for farmers. It is an ambitious project, undertaken by the Modi government. During the official budget speech of 2016 -2017, FM Arun Jaitley made it clear that it will put a huge pressure on the nation treasury. During this speech he said that allocations of Rs. 550 crore had been done for proper implementation of this scheme. During 2017 budget announcement, 40% extra allocation was made towards this project that took the total cost to Rs. 9000 crores. By the end of this year, central government aims at incorporating 50% cultivable land under this project. In case any farmer desires to attain any information related to this scheme, then he can dial the number 011-23382012, followed by an extension 2715 / 2709 to talk to customer care executives. Any other doubt can be cleared by logging on to the link help.agri-insurance@gov.in. Farmers have been using this unique scheme to reduce their crop losses. Poor farmers stake everything they have on the crop yield. If that is damaged by some means, then it becomes impossible for them to recover from the loss. They choose to take their lives by committing suicide. But schemes like these have succeeded in lowering the farmer suicide percentage in the nation. The new site is still under development, and central government will notify applicants as and when any updates take place.